The U.N.-recognized Palestinian Genocide in Sabra and Shatila is being minimized, denied and forgotten. 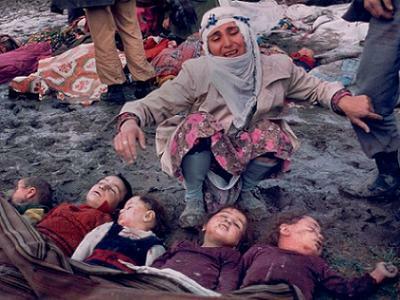 Please remember the Palestinian victims of the Sabra and Shatila Genocide by linking to this page. On December 16, 1982, the United Nations General Assembly condemned the Sabra and Shatila massacre and declared it to be an act of Genocide. There is no precise number of victims, but estimates range from 700–800 to 3,500 in a single massacre (depending on the source). 2. Resolves that the massacre was an act of genocide.